I have always had my file and reviews handled at the Oakland VA Regional office. I just received a letter from the VA San Diego Regional office that they will be providing a special review in accordance with Nehmer VA.
Any idea what they would move my file from my main Regional office? Just curious. As I understand it, there were Nehmer centers chosen to help out the regional VA offices. Nehmer cases have to have a special rating review too, I think. Nothing to worry about. You will be hearing something soon, I'm sure. Sounds like you were a Nehmer class or found to be a Nehmer class claim (previously denied for IHD). I have a friend who filed a year ago and their claim went from Texas to Seattle, Washington. My claim went from Texas to Minnesota, but as yet my claim has not been recognized as Nehmer. Nehmer claims are to have specialized reviews and adjudication. It is possible that the claims will be sent out of state or to a more specialized department. 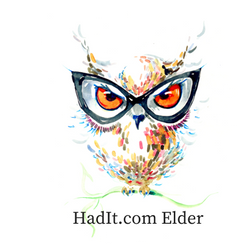 More agent orange,IHD,and Nehmer info can be found here at hadit. Others here will be able to answer and have more details. The Nehmer guidelines were helpful to me. Due to the Nehmer Court Order the VA can be sanctioned for any major errors in the adjudication of the Nehmer claims.They are specialized teams who are trying to decide these claims correctly. My AO claim originated at Buffalo VARO in Auig 2010 and then was sent to Nehmer Division at Philadelphia VARO. Also I received a few months ago, a letter confirming I am in the Nehmer Class Action. Only AO claims that involved a past denial for what is now one of the 3 new presumptives are Nehmer claims. NVLSP ( the lawyers who won the Nehmer Class Action) want to hear from any vet or widow who had a past AO claim denied and have filed again under the new presumptives. Their contact info is in our AO forum. They are pro bono lawyers and will review any AO Nehmer decisions for accuracy if the vet or widow has contacted them and filled out their questionnaire.